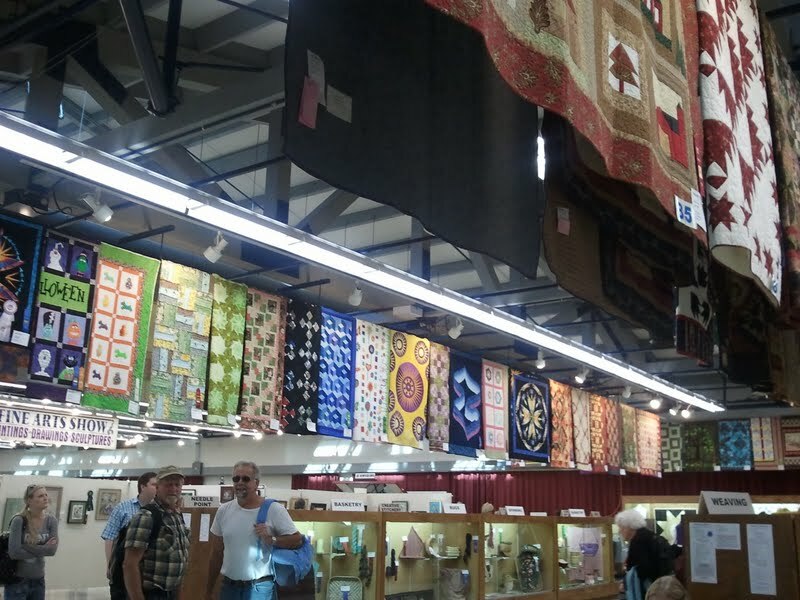 As many of you know, I entered a couple of quilts into our local fair recently. Our fair is very large. One of the 10 largest fairs in the US actually. It is so expensive to eat or ride rides at the fair so we haven’t done that for several years. My favorite part about the fair though is looking at all of the exhibits, listening to local bands, and the animals. We had a really great time this year. We looked at all of the agriculture exhibits (which are always amazing). The kids got to do some free activities like beading and painting. We saw a couple different bands and a magician. 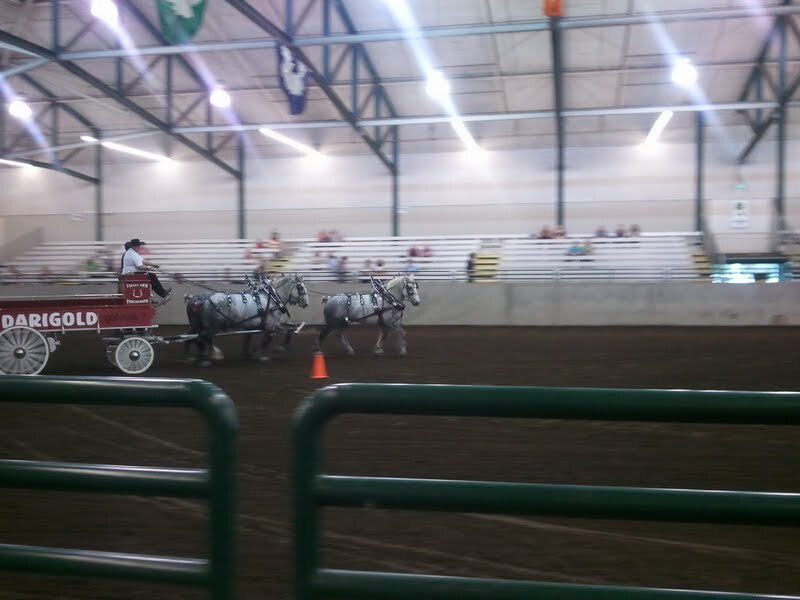 We love watching the draft horses. They really are some of the most beautiful animals ever. I caught this picture on my cell phone and thought it turned out really cool (totally by accident). 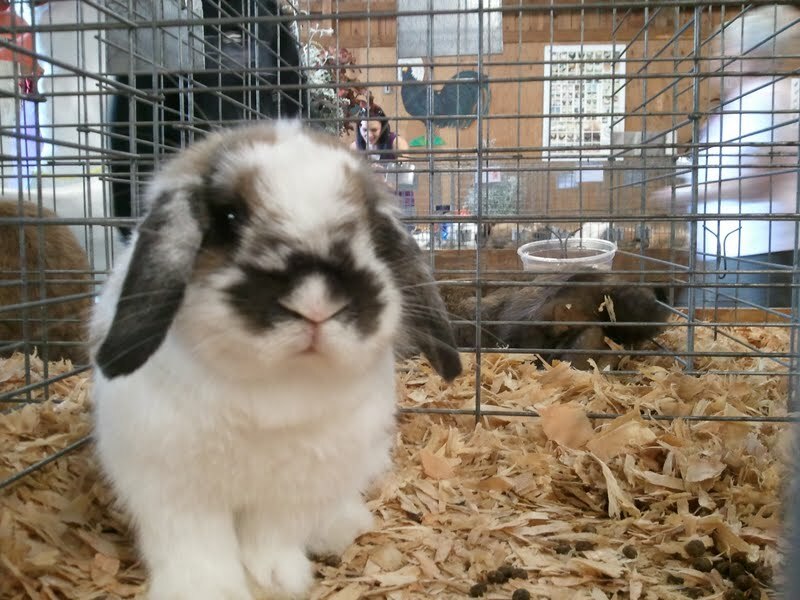 There was one barn full of nothing but bunnies. We looked at every single one. This little guy stole my heart. 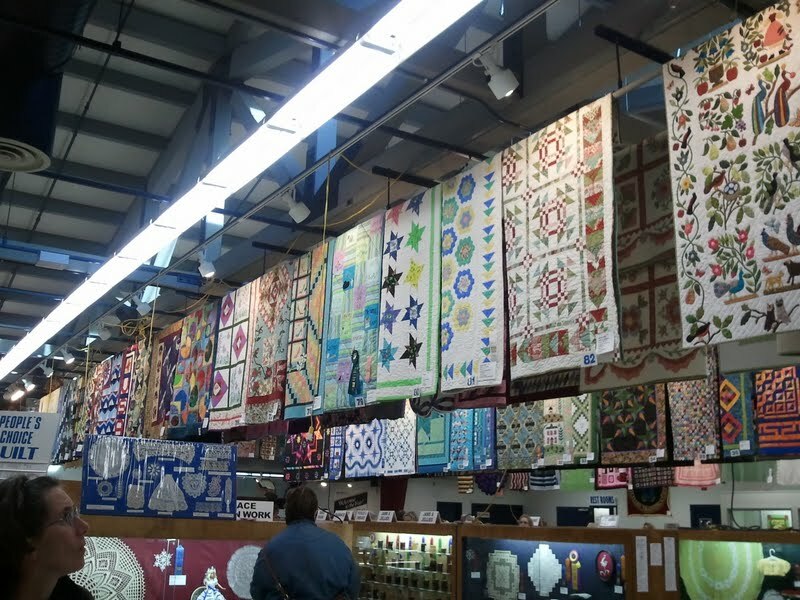 Of course we had to go see the quilts. There were hundreds of them hanging from the ceiling. Imagine my surprise when I saw my quilt, in this sea of gorgeousness, hanging there with a little red ribbon on it. 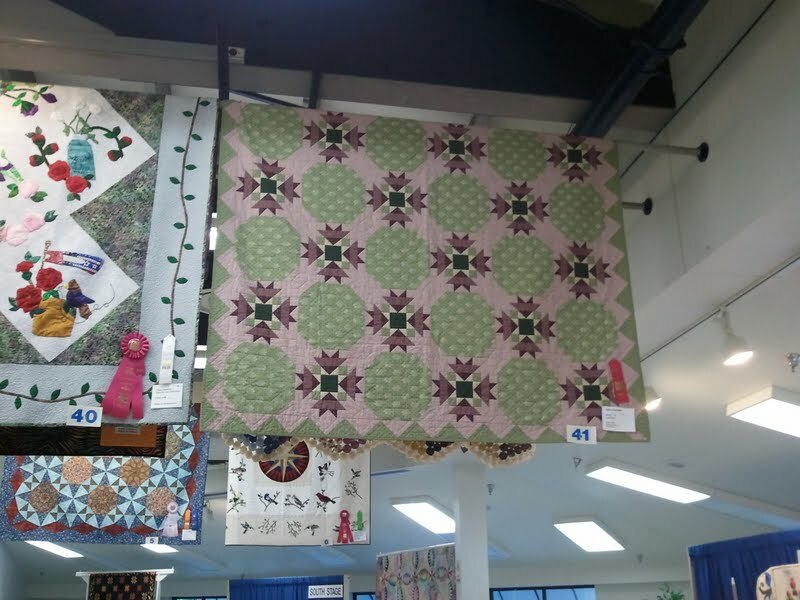 I just got my quilts back this Tuesday, and wouldn’t you know it, the Quilting Gallery Contest this week is Flying Geese! 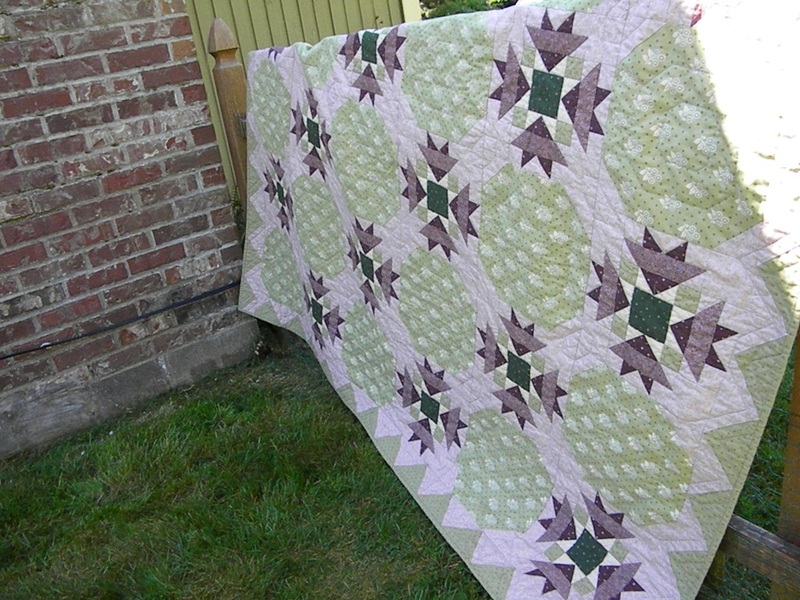 This quilt has over 100 flying geese pieces in it, so I decided to enter. It’s not cheating to win more than one award for the same quilt, right? Heehee! If you are so inclined, won’t you please take a peek at the quilts in the contest this week and vote for your favorite? 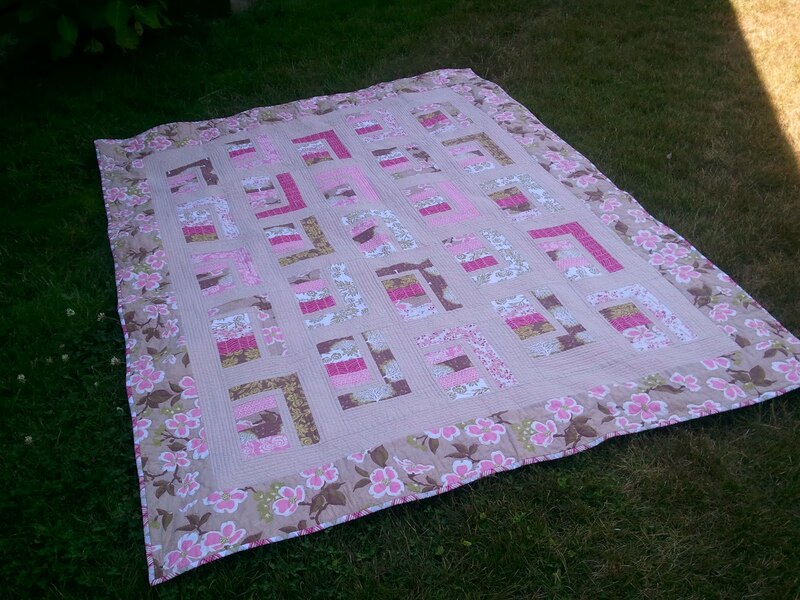 I hope you choose mine, but there are always many beautiful quilts there so if you choose another it’s okay. I’ll only cry for a week or so 😉 Voting starts tomorrow and goes through Sunday. 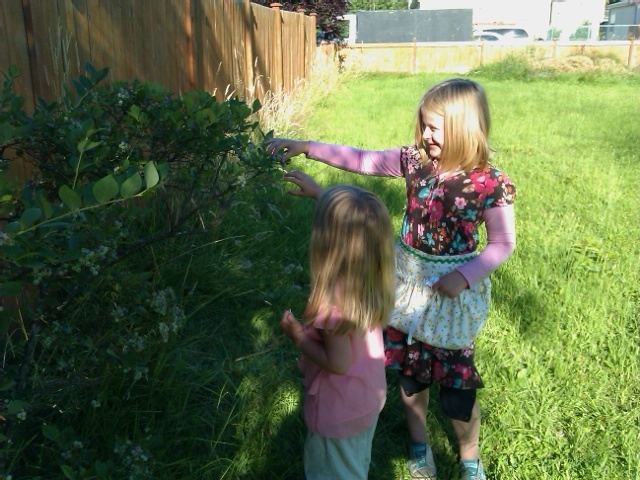 There is nothing more heartwarming to me than picking berries with my children. I don’t know if it’s because it reminds me of picking blackberries with my parents when I was a child, or if it is because berries only ripen when the long-absent Seattle sun makes its return. All I know is, when I think of my idea of happiness, picking blueberries with my girls is at the top of my list. It’s so great, even the dog joins in! Anyway, a couple months ago our dear friend Kitty Pearl at Road Home Quilting had a poll to choose a favorite vintage apron. She posted a ‘Picker’s Apron’ and I fell in love. I had never heard of or seen such an apron! It looked adorable, functional and easy to make! 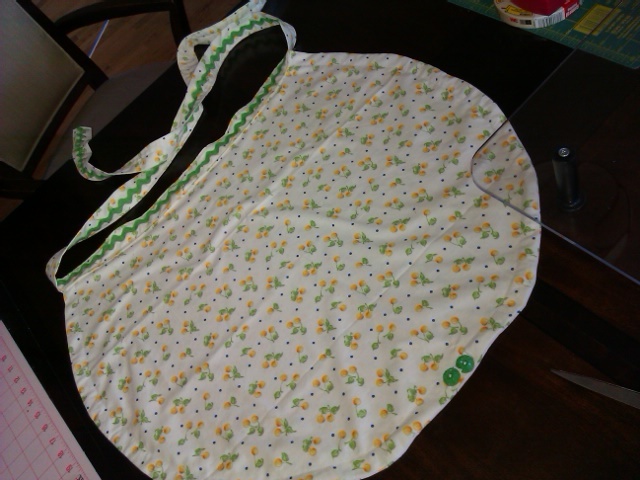 The appeal was that it was an apron that had strings in it you could draw up to turn it into a basket. I wouldn’t have to use my skirt anymore! 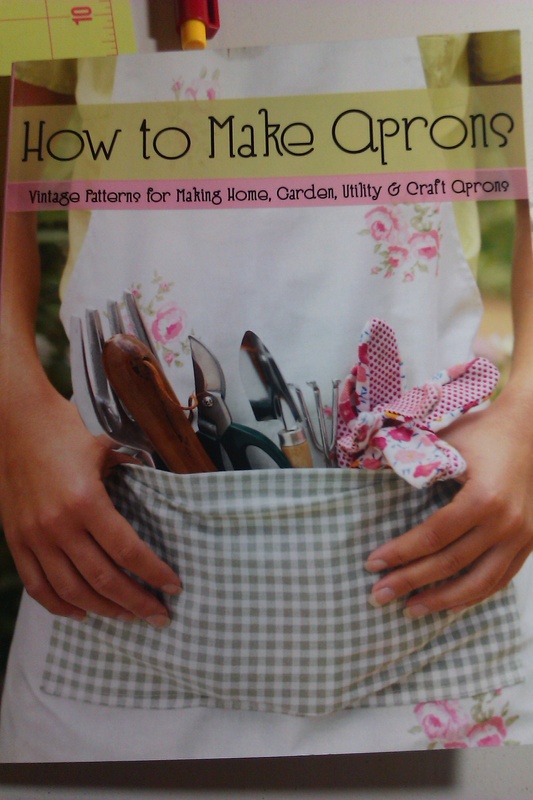 It turns out that was a favorite among many, and would be published in new book; How to Make Aprons. I was smitten and knew I needed the pattern ‘one day’. As luck would have it, @RoadHomeQuiltin (as followed on Twitter) was giving out a copy of this wonderful book and Selina was lucky enough to win it! She knew how badly I wanted to make the pickers apron and she lent me the book to make it! I even had a lovely cherry fabric given to me by my Aunt Eileen to make it in. After a couple calls to my mom for help reading a pattern, (clothing patterns aren’t my thing) I knocked out an adorable apron! I used vintage buttons from my grandmother’s button box as the draw pulls, and vintage ric-rac Selina had as a cute accent! I was very pleased with the end result! 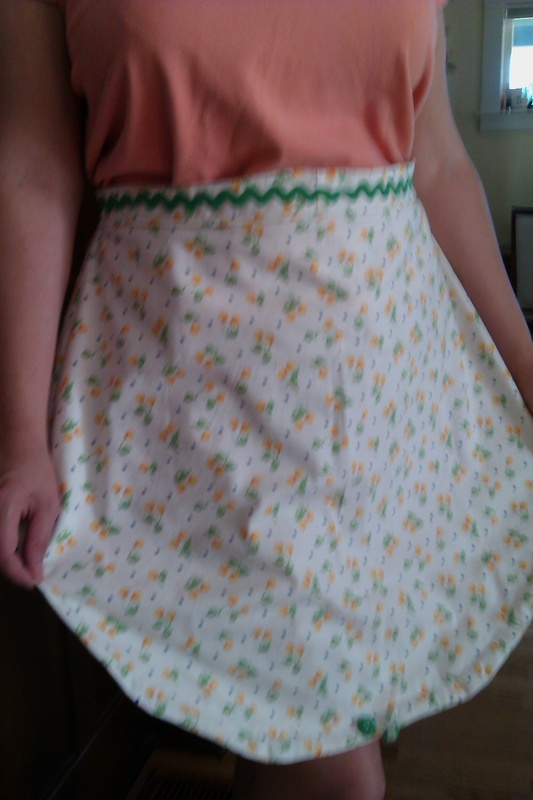 I was able to make this apron, start to finish, in just a couple hours. We were out picking lots of blueberries in no time at all! 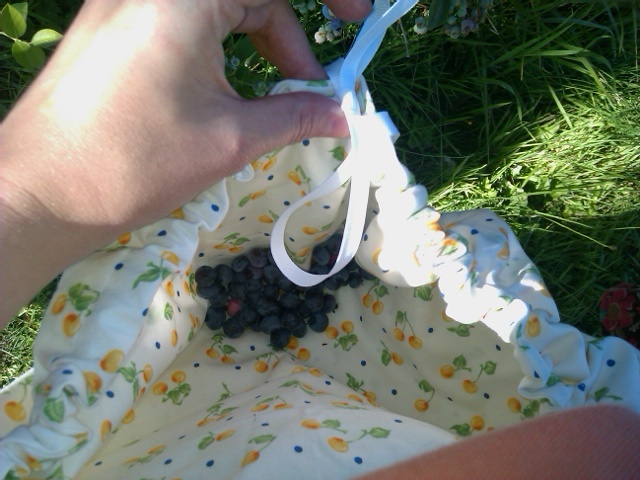 The girls enjoyed picking blueberries and putting them into the pouch of my new apron, but couldn’t wait until it was their turn to wear it too! Each girl got a turn. 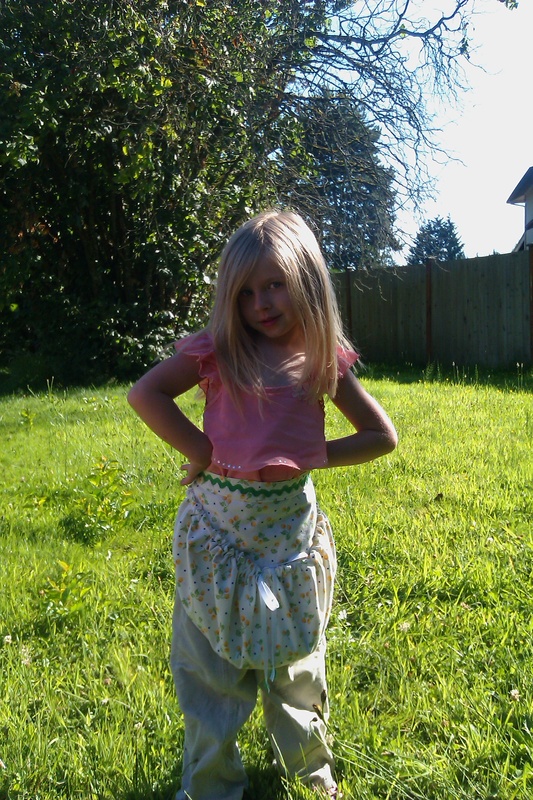 We had a very successful picking experience in the back yard with our new apron. Not a single berry was spilled! In fact, we had enough for a delicious cobbler! The very rainy spring/summer made for excellent berries. 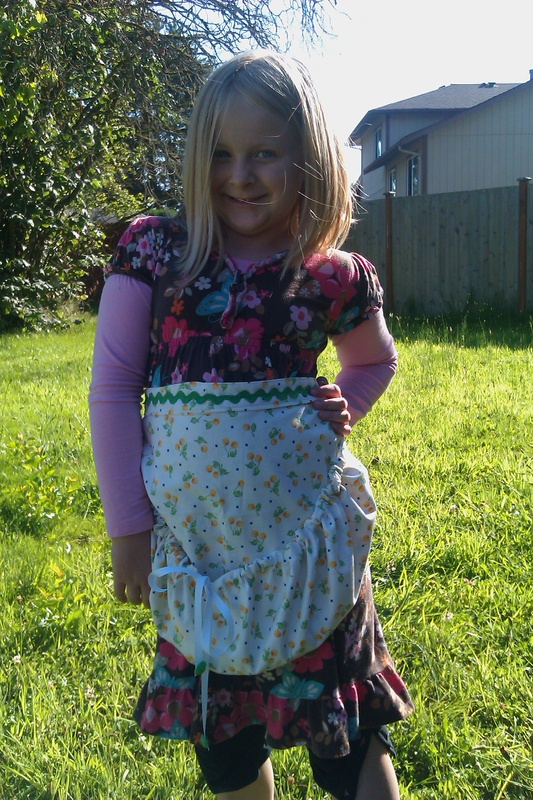 The girls had so much fun with this apron that they went around looking for berries on the blackberry and raspberry bushes. 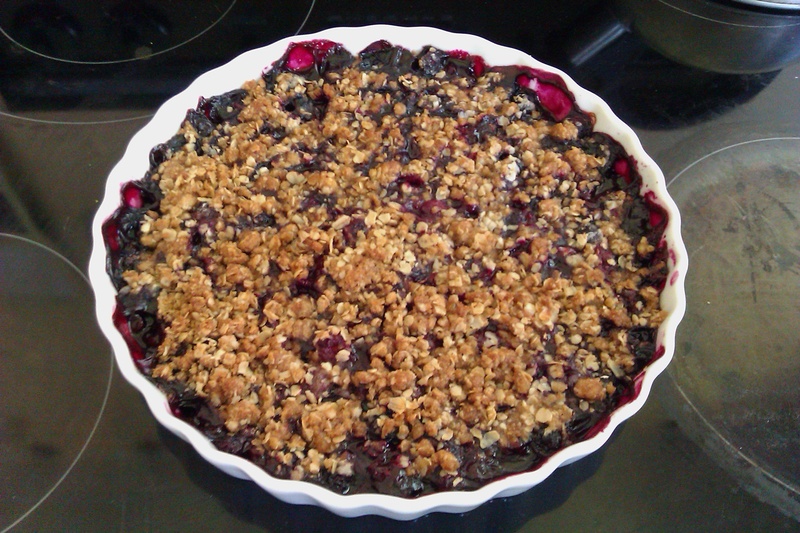 The result was this delicious berry cobbler! In case I haven’t mentioned it, Fall is my favorite season and harvesting is the reward for the labor! ProTip: If you make your apron in white as I did, and you’re picking berries that stain, try using Zout to treat the stains before washing! Mine comes out as good as new!